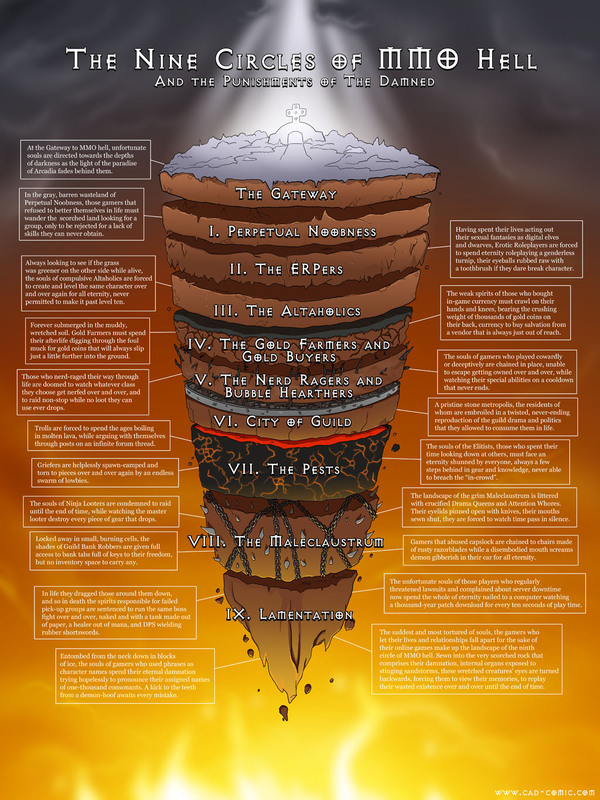 “9 Circles of MMO Hell” or “You Can’t Handle the Truth!” | Are We New At This? This is a month old now, but it’s still bloody brilliant! Click the image for the full-size version. um… wat if u do all of those sins… wat world would u go then? “Se7en Most Annoying Individuals in MMORPGs” or “Been There, Done That” « Are We New At This?